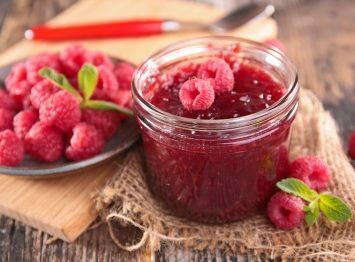 A luscious homemade raspberry jam recipe. 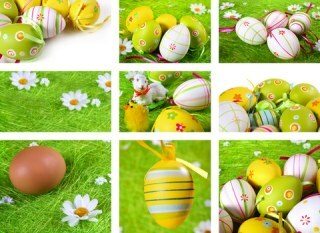 What a treat to enjoy all year long. If you are lucky enough to have raspberries in your yard, or have access to an abundance of them, this is certainly a recipe you have to try. Wash the berries, pickin them over to remove any bad berries. Mash the berries and cook them gently for 10 minutes, stirring frequently. Add the sugar and cook for 15 minutes or until it is thick. When the jellying stage is reached, the drops will run together to form a sheet. If a thermometer is used it should read 219°F, which is 7°F higher than the temperature will read in regular boiling water. Pour the jam into sterile glasses and seal with wax. Raspberries should have enough pectin in them naturally to gel on their own but you can add crystalized pectin or liquid pectin if you prefer just to make sure. Add the amount called for on the package for this amount of fruit. Add it when you add the sugar. If you want your jam to turn out more like a seedless jelly, strain the cooked berries through a sieve before you add the sugar to remove the seeds. It won’t be a clear jelly, but it will produce a lovely seedless jam. Pure sweet raspberry jam is a treat on toast, scones and biscuits, in classic peanut butter and jam sandwiches (who doesn’t love PB&J? ), or simply added to ice cream on a warm summer day. My favorite way to enjoy jam and jelly is instead of syrup on pancakes or french toast. Any way you choose to enjoy it, I am quite certain you will be glad you made the effort to make this wonderful jam. Raspberry jam is just one of our ways to preserve summer in jams, jellies, pickles and chutneys. Find all of our preserving recipes here. Like this recipe? I’d love you to Pin it to Pinterest, Tweet about it, Like it on Facebook and leave a comment and your own recipes at the very bottom of the page.